Trip Type : Small group/Large group cultural exploration. Highlights : Explore several of world famous forts, palaces, havelis and temples of Rajasthan. Enjoy camel safari. The Rajput Heritage Tour of Rajasthan enchant you with its majestic places, rugged forts, spectacular deserts, wooded hills, tranquil lakes, silent villages and with its amazing flora and fauna. 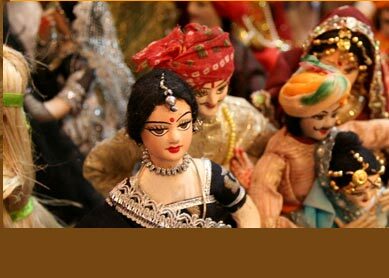 It is merely a splendid glimpse of Rajasthan's rich culture and bygone royalness. Roaming through the historical cities like Bikaner, Jaisalmer, Udaipur, Jodhpur and Jaipur provides beguiling charm to its visitors. Taking the camel safari in the glittering Thar desert is surely one of the most unique and unforgettable experience of the lifetime. Day 1: Delhi - Samode. Arrive at Delhi Airport. Our representative will there to pick you. Drive straight to Samode, where you stay overnight at Samode Palace, one of the best Rajasthani heritage hotel. Day 2: Jaipur-Nawalgah. Today, you will take sightseeing tour of Jaipur, the Pink City Of India, and capital of Rajasthan. Explore several of popular forts and palaces. In the evening, you will drive to Nawalgarh, the heart of Shekhawati region (called as Open Air Art Gallery Of Rajasthan). Day 3: Nawalgarh-Mandawa. In the morning, enjoy camel safari ride while photographing and exploring the havelis and temples of Nawalgarh. Afternoon, you will drive to Mandawa, the another famous cultural spot of Rajasthan. Overnight stay at heritage hotel Castle Mandawa. Overnight stay at Roop Niwas Palace. Day 4: Mandawa-Bikaner. 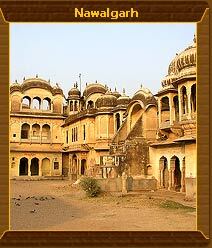 Take a morning sightseeing tour of Mandawa. Afternoon, you drive to Bikaner, where we have arranged your stay at Lalgarh Palace. Day 5: Bikaner. Entire day, you will be visiting this historical city of Rajasthan discovering its number of forts and palaces. Enjoy camel safari for whole day. Day 6: Bikaner - Jaisalmer. In the morning, you will drive to Jaisalmer, the Citadel City, and another world famous historical destination of India. Stay overnight at hotel Rawal Kot. Day 7: Jaisalmer. The full day sightseeing of Jaisalmer takes you to visit many of its forts and palaces representing Mughal and Rajput architectural grandeur. Day 8: Jaisalmer. The exciting camel ride awaits you today. Exploring the Sand Dunes while being on camel's back comprise a great wonder for tourists. Day 9: Jaisalmer - Jodhpur. Drive to Jodhpur in the morning. Check into popular hotel, Sardar Samand Hotel. Overnight stay at the hotel. Day 10: Jodhpur - Ghanerao. After breakfast, come out of hotel to explore two of the best attraction of Jodhpur - Umaid Bhawan Palace and Mehrangarh Fort. Afternoon drive to Ghanerao, where you will stay overnight at Ghanerao Castle. Day 11: Ghanerao - Ranakpur. Take morning tour and sightseeing of Ghanerao. Afternoon, we will drive to Ranakpur. Overnight stay at famous hotel, Maharani Bagh Palace. Day 12: Ranakpur-Udaipur. Visit to many of famous temples of Ranakpur. Afternoon, drive forward to Udaipur. Check into hotel Shiv Niwas Palace, where you stay overnight. Day 13: Udaipur-Deogarh. By afternoon, visit Udaipur - The Lake City. Afternoon, drive to Deogarh. In the evening, enjoy trekking in its beautiful hills or watch local tribal dance. Stay overnight at Deogarh Mahal. Day 14: Deogarh-Jaipur-Kanota. Drive to Kanota en route Jaipur (15 km). Check into Royal Castle Kanota. Enjoy leisure and overnight stay here. Day 15: Kanota - Agra. Take a morning drive, and rush to Agra en route Fatehpur Sikri. Visit Taj Mahal and other famous historical monuments. Overnight stay at hotel. Day 16: Agra - Delhi. Early in the morning, you will drive to Delhi. 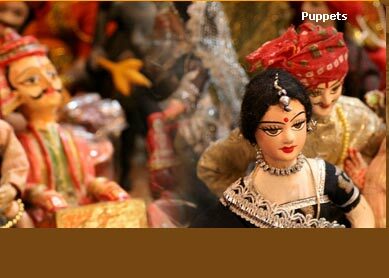 Enjoy sightseeing of several monuments and other famous spots of Delhi. In the evening, we will organise farewell part for you. In night, our representative will transfer you to airport to catch your flight. You would be staying at some of the best heritage hotels of the country. Heritage hotels like Samode Palace, Castle Mandawa, Lalgarh Palace, Hotel Shiv Niwas Palace and Hotel Maharani Bagh are famous for its Rajasthani royal hospitality. Staying at these architecturally excellent edifice form unique experience. These hotels were once a palatial buildings for kings and queens.